‘To start, I am going to tell you a load of lies,’ states dynamic, young Channel 4 presenter Nel Hedayat to the 70 young historians gathered in the House of Commons to share the results of their involvement in the Runnymede Trust’s ‘Making Histories’ project, with the University of Manchester and the University of Cambridge. ‘History is linear, history is one truth, history is the same for us all,’ she lies to them. Their research for this project explores how and what a younger generation can learn from the mistakes of former generations in relation to racial tensions. For this project the schools are Thomas Tallis School in Greenwich, Langdon Park School in Tower Hamlets and Manchester Academy in Moss Side. Tower Hamlets pupils joined forces with local historians and archivists to peel back the layers of rich history of the East India Docks and delve into the battle of Cable Street, in which local residents famously repelled a scheduled march of Oswald Mosley and his fascist Blackshirts in 1936. 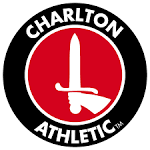 The Greenwich pupils focussed on their family trees and the diverse history of Charlton Athletic. The Manchester pupils researched and presented on the Moss Side riots of 1981 in which racial tensions boiled up and led to three days of clashes between residents and the police. They interviewed one of their teachers who was training at the school at the time of the riots. Pupils discovered his insights about the changing ethnic make-up of the school and area, which, without this project, I’m confident to say they would never have heard first hand. Runnymede trustee and true orator Hepburn Harrison-Graham chaired the lively debate. To warm everyone up he provocatively asked: ‘If you could be a famous person from history who would you be?’ and deftly fielded pupils’ justifications for a wide range of choices from Rosa Parks, Abraham Lincoln, Helen of Troy to Churchill. Hepburn then mediated the main debate, which pitched pupils who believed that history was important to them against those whom the project had not quite managed to win over remaining convinced that history was irrelevant. Some pupils slipped into the role of teacher and tried to convince the nay-sayers that history shapes our futures and helps us learn from our mistakes. The final comment from an eloquent pupil from Thomas Tallis summed up the aims of the project: ‘I’ve learnt you can research more into your family and local history online – you don’t have to be in school’. Score for the Runnymede Trust! 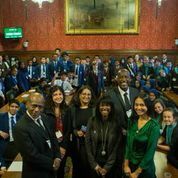 Overall, the event, attended by MPs, demonstrated that in the revised curriculum there remain opportunities to explore the diverse history of a Britain shaped by migration, and that there is a thirst for this among teachers and pupils. And that must be a good thing, mustn’t it? Surely the more we, as a people, know about past tensions and mistakes, the less likely we are to repeat them? That’s our hope at the Migration Museum Project, anyway! Thanks to the Runnymede Trust team for their contribution to this ongoing debate.